Celtic Woman won the 2010 Best Group Award with 44.2% of the vote. Celtic Woman is the most successful female vocal group in classical crossover. They were conceived by Riverdance musical director, David Downes in 2004. They began as a group of five solo Irish singers but over the years, the membership has undergone several changes that have seen five members come and go. There are currently four members, and their latest release came out in early 2010. They are embarking on a huge tour in 2011. - To be nominated for the best group award, the project must contain two or more members. They can be vocalists, instrumentalists, a choir, or a mixture. The nominee needs to have been active this year, either through a release or promise of an album in 2010 (takes priority) or performing. All Angels received 27.5% of the vote. All Angels are a super group of four young female vocalists. They have released three albums and are currently recording an EP with their new member, Rachel Fabri. Fuse received 15.7% of the vote. Linzi Stoppard and Ben Lee are Fuse, a pair that use their electric violins to elevate the instrument further into popular appeal. Fuse launched their self-titled debut album in May. Libera received 12.6% of the vote. 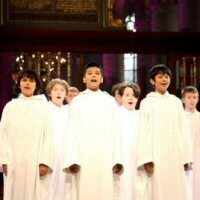 Libera released their first album in 1988 but did not name themselves Libera until '95. As with any choir relying on youthful voices, members come and go. Re-release Peace is due out at Christmas.